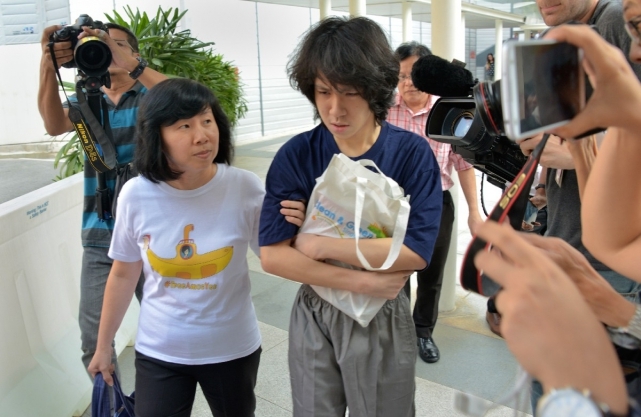 On March 24, the United States of America’s Immigration Judge, Samuel B. Cole, granted Amos Yee’s asylum application. Judge Cole concluded that the Singapore government persecuted Yee on account of his political opinion, and that Yee is deserving of asylum as a matter of discretion. The judge considered the Freedom House and the World Press Freedom Index rankings of Singapore for his judgment. 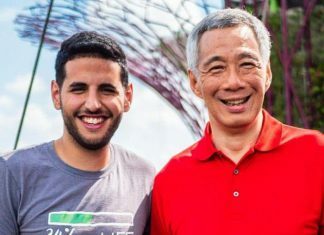 He noted that Singapore is indicated as “partly free” in the Freedom House listing, and that World Press Freedom Index listed Singapore at 153 – near bottom of its ranking. Speaking at the SG50+ conference in 2015, Mr Lee said that Freedom of Speech in Singapore has got its limitations. In that Speech he again referred to Yee. 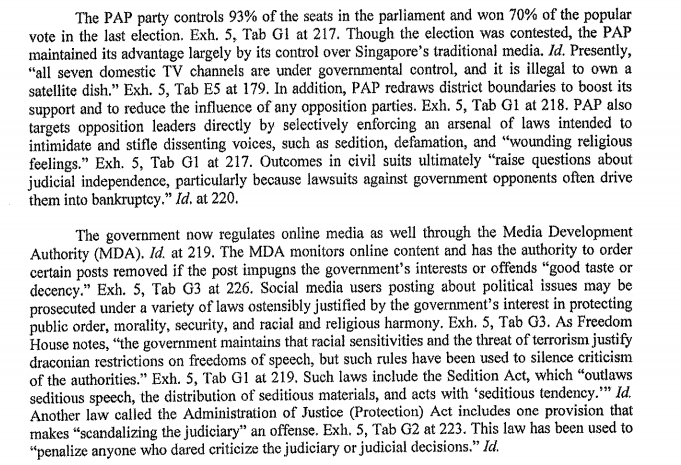 The judgment especially referred to the Singapore Government’s dominance of the press and media; as well as its attempts to stifle online media.